The next edition in a series praised as undeniably exquisite (Maria Popova), The Best American Science and Nature Writing 2015 includes work from both award-winning writers and up-and-coming voices in the field. From Brooke Jarvis on deep-ocean mining to Elizabeth Kolbert on New Zealands unconventional conservation strategies, this is a group that celebrates the growing diversity in science and nature writing alike. Altogether, the writers honored in this years volume challenge us to consider the strains facing our planet and its many species, while never losing sight of the wonders were working to preserve for generations to come. Rebecca Skloots award-winning science writing has appeared in the New York Times Magazine and elsewhere. Her book, The Immortal Life of Henrietta Lacks, was an instant New York Times bestseller. It was named a best book of 2010 by more than sixty media outlets, including Entertainment Weekly and NPR, and by the National Academies of Science and the American Association for the Advancement of Science, among others. Skloot is currently writing a book about humans, animals, science, and ethics.  Start reading The Best American Science and Nature Writing 2015 on your Kindle in under a minute. Another great addition to the Best American Science & Nature series. I noticed that some other reviewers have been commenting on how the selections were more about people and society than hard science. But that's what makes science writing meaningful and purposeful; what is the point of science if not for the advancement of humanity and improving our quality of life? Finding a more efficient way to produce electricity--cool! Why do we care? Because it's helping the poor of India live better lives. Mapping out a totally undiscovered cave system--beyond awesome! But what makes this worth reading? The human struggle, the sweat, tears, and sacrificed sleep it took to accomplish this. If you want cold, hard science, this is not the book for you. Go read an academic journal instead. I really enjoyed reading this collections due to its wide range of excellent articles. As a science teacher I enjoy writing that enlightens and inspires and this collection certainly does both of those well. I will consider getting each yearly edition to have timely articles for my students and myself to read, discuss, and digest. The collection is light on hard science and long on human interest stories. The writing itself is uniformly good, but when I consider the state of science literacy in American society, I would have hoped for more content. That being said, the extensive reading list of other 2014 science articles is a valuable resource. Fascinating articles on science and nature, including subjects such as human health and how it is affected by light, and how a focus on genetics has made plant cultivation and development a scientific craft that could be compared to the process of software development. I also learned much more about the patent process for plants and other scientific discoveries. This book got me through a whole day of sitting and waiting while I was on jury duty. This outstanding collection of writing should be shared widely. Every essay has messages that tell about important science that should be understood by the public. I hope many high school teachers of virtually any subject will find from this collection assignment that will both challenge and inspire their students. I've long had an uneasy relationship with anthologies. More often than not, I find a few stories I hate, a few I love, and the rest fall somewhere in between, all of which leaves me with a vague feeling of dissatisfaction. But, when I saw this collection, The Best American Science and Nature Writing, I figured I couldn't go wrong. After all, I'm a scientist and I spend about half of my work hours on issues related to fish and wildlife. An anthology of stories about science and nature had to be right up my alley. And yet, here I am, again, disappointed. It turns out that this collection isn't really so much about science or nature as it is about people. For example, the story "Down by the River" is about the restoration of the landscape along the Colorado River in Yuma, AZ. However, there is almost nothing about the biology and ecology of the process. The story is almost entirely about the people involved and the impact on the community. Similarly, the story that follows, "The Empathy Exams," starts off as the story of a medical actor but quickly veers off into a very personal essay about the author's previous abortion, heart surgery, relationships, and emotional state. In addition, I seem to define "science and nature" somewhat differently than the series and guest editors do. For example, I would describe "Waiting for Light," a story about a company that rents rechargeable LED lanterns to residents of villages in India that electricity has not yet reached, as a story about the impact of technology on people in developing nations, not really a story about science or nature. And, consistent with the theme, the story is much more about the people than it is about the technology. 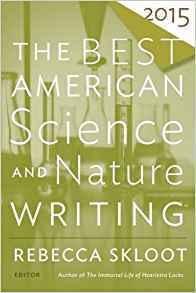 This was my first encounter with any of the "Best American Science and Nature Writing" anthologies. Based on reviews written by people who have read previous year's editions of this collection, the stories in this one are consistent with the selections typically made. Given that, I won't be reading any more of these collections, as they are obviously just not my cup of tea. I read this series every year, found this one lacking. This is a disappointing collection. Several essays are simply uninteresting, and hard to objectively classify as 'the best' of 2015. Two short pieces by one Jourdan Imani Keith, and and essay about the study of 'curiosity' by Kim Todd fall in this category. An article by Meera Subramanian on New York City's efforts at coping with rising sea levels and 'hurricane Sandy' type events is well-written, but somewhat abstruse. Hard to know what the editor, Rebecca Skloot, was thinking when she picked these pieces for inclusion in this volume. A couple of the essays are quite good. The most riveting, 'Aftershocks,' describes in fascinating detail the conviction, for involuntary manslaughter, of a half dozen Italian seismologists for failing to warn the public about an earthquake that struck a remote area of Italy late in the last decade. 5.0 out of 5 starsGreat writing indeed! This was a fun read, and I enjoyed all of the different stories. A good collection as always. Not quite as compelling as previous years. Still highly recommended.